Retirement brings changes – for many of us, it’s a newfound wealth of unencumbered time. We spend that wealth lavishly, of course, on our commitments, from social justice and political work, service to our faith communities, or caretaking responsibilities, as well as our multiple avocations, whether hobbies, travel, or sports. But, in addition to these activities, we also may find, happily, that we have more time for reading. When we retire, our reading lives may deserve thoughtful reflection, not only because we have more time to read, but also because our reasons for reading, our habits of reading, and the kinds of reading we seek out may be changing. The reading we do when young is often required as schoolwork and often asks us to look ahead to the future—to college and to the adult lives we have not yet begun. When working and raising children, reading may become an infrequent pastime, practiced just before bed, in airports, or on vacation, as a way of filling the time between our daily obligations. But in retirement, reading can become less a pastime and more a pleasurable exploration of our lives, our pasts, and the complicated journeys we have undertaken. We can read about people like us and learn from them. Or we can read about people who aren’t like us and learn from them as well. Reading, viewed this way, can become a kind of self-care, a means of making our lived lives better. What follow are six questions meant to help you reflect on your reading life. They are based on the six traditional basic questions of journalism: What? Who? When? Where? How? Why? What kinds of books do you usually read?As an exercise, write down the titles of the last three books that you read that you really liked. How did you come to read these books? Are they like books you have read before? Why are you attracted to books like these? Who are you as a reader?Is there a pattern to your reading life? Do you read more non-fiction than fiction? More literature set in contemporary settings or literature set in the past? Are you interested in a specific genre (mysteries, spy novels, science fiction, romance, horror, classics)? Again, as an exercise, draw a line and place slashes on that line for every decade of your life. See if you can come up with two or more book titles for each decade. Has there been a change over time? Has there been continuity? What’s the pattern? When do you read?Do you have habitual times—before bed, in the quiet morning, while eating lunch alone, on peaceful afternoons on the porch? 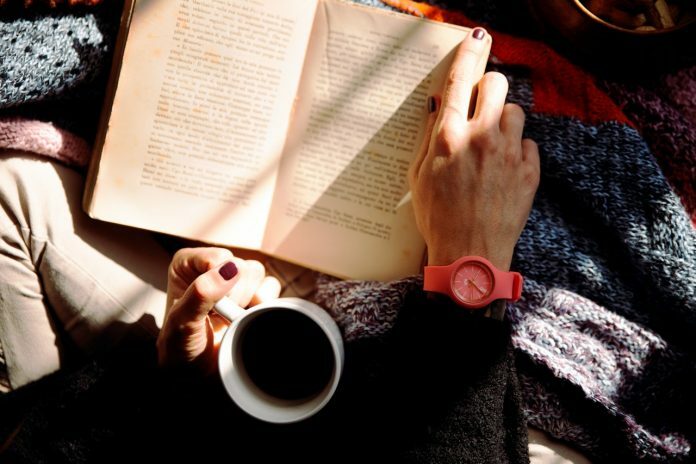 Do you set aside a special reading time on most days? Do you read different things at different times? Why? Where do you read?Make a list of the places where you commonly read. Why do you read in those places? What is your most comfortable place to read? Do you have to read in private when it’s quiet or can you read in noisier public spaces? When you’re traveling, how do you know when you’ve found a good place to read? Explain. How do you read?Are you a slow or a fast reader? Do you read different books at different speeds? Do you read more than one book at a time? Are you usually prone or in a sitting position? Do you take notes and underline? Do you read print books only, or do you read digital or listen to audible books as well? Do you like one medium better than the others? Do you read one kind of book in one medium and others in different media? Why? Why do you read?This is probably the most important question of all, and it probably has the most answers. It might be useful, though, to consider your most important reasons for reading and try to find books that address those reasons. The great novelist, essayist, and public intellectual Marilynne Robinson argues that reading about people different from us can have deep effects on our ability to empathize with others in real life. On the other hand, reading about people like ourselves might help us learn more about who we are. There are so many good reasons to read. I hope you are having a good reading life. Have you read anything lately or in recent years that gave you a new perspective? Share your comments below. Boom Athens is a lifestyle magazine for people 50 plus who live in greater Athens and the surrounding counties. Join our mailing list to receive the latest news and updates from BoomAthens.